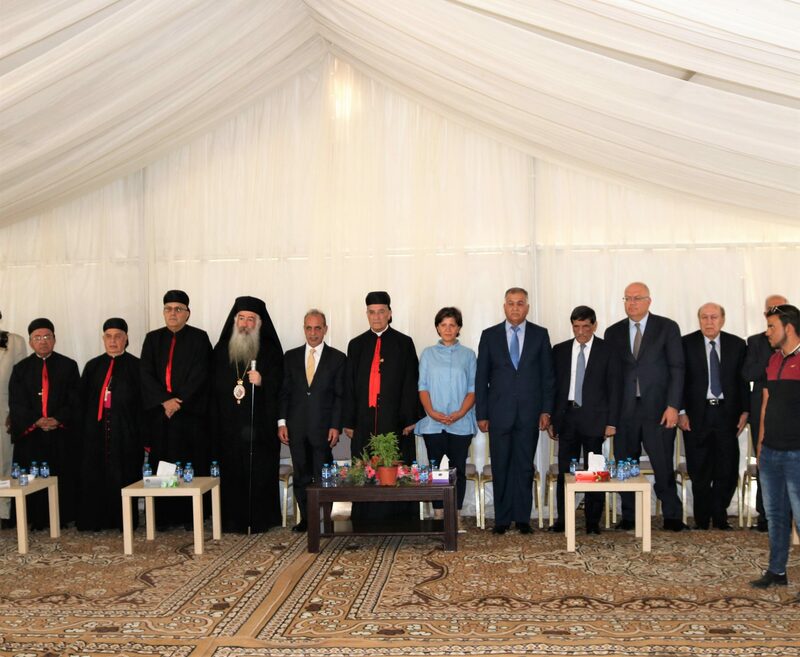 The Municipality of Umm Al-Jamal in Mafraq Governorate received the Patriarch of Antioch and the rest of the Levant Maronite Cardinal Mar Bishara Boutros Al-Ra’i on Tuesday, July 24, in a special worship of the faithful from all parts of the Kingdom. One of the most important objectives of this visit is the consolidation of religious tolerance in our Jordan. 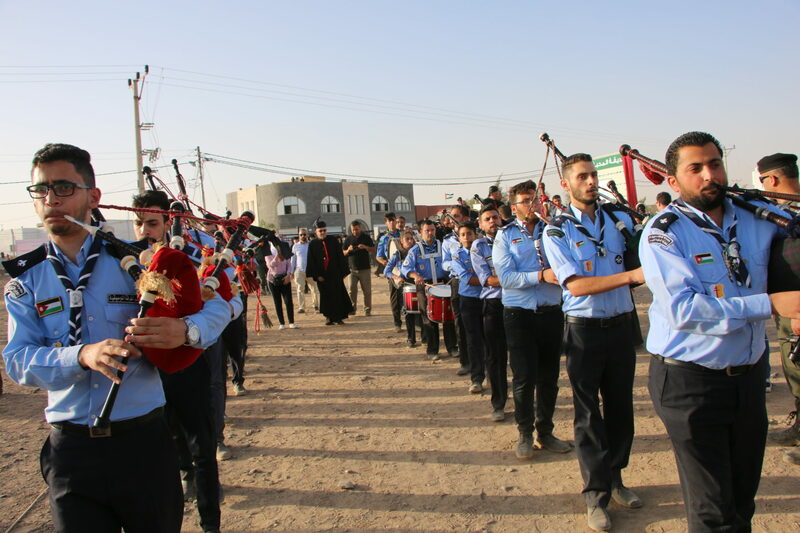 Although no Christians live in the Umm el-Jimal area east of Mafraq, we have observed the coexistence, harmony and tolerance that the people of the region have shown for this visit. Archaeologists agree that most of the ancient churches in Umm el-Jimal were Orthodox. Thus, the Reverend Chistophorus, Archbishop of the Orthodox Churches in Jordan, accompanied by a number of representatives of the Latin and Catholic churches from various governorates of Jordan, welcomed the Patriarch Maroun Beshara Al-Ra’i in the ancient Byzantine Cathedral of Umm el-Jimal. 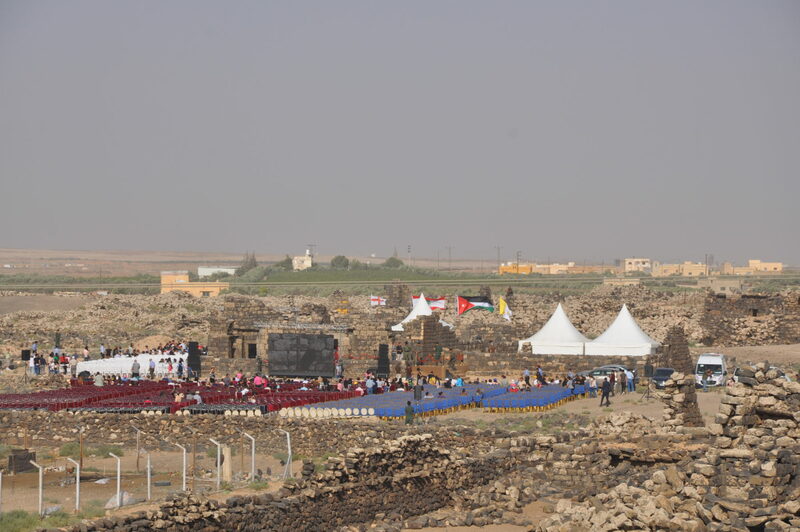 It was exciting to see so many members of the Christian communities of Jordan gathered in the presence of important church leaders, state officials, and dignitaries of the region at the ancient site of Umm el-Jimal, where early Byzantine Christians worshipped in its sixteen churches 1,500 years ago. The visit of the Patriarch highlighted the importance of the archaeological site in the religious heritage of Jordan. The municipality of Umm el-Jimal put in place all preparations and arrangements for the success of the visit, which the mayor hopes will achieve a lot in the field of religious tourism and promote the area tourism and archaeological.